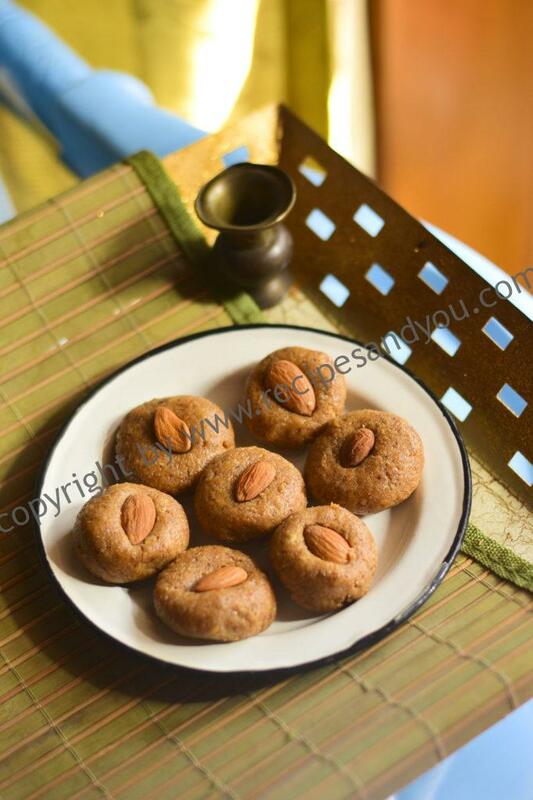 Khoya Badam Peda-An Indian sweet/dessert made with homemade khoya and almonds. 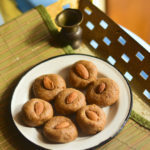 Khoya almond peda is a completely homemade dessert and its delectable taste and melt in mouth texture is unforgettable. Pedas are not a new thing in Indian cuisine.They are one of the most popular of all Indian Sweets. This particular recipe makes use of Home made khoya made from scratch. 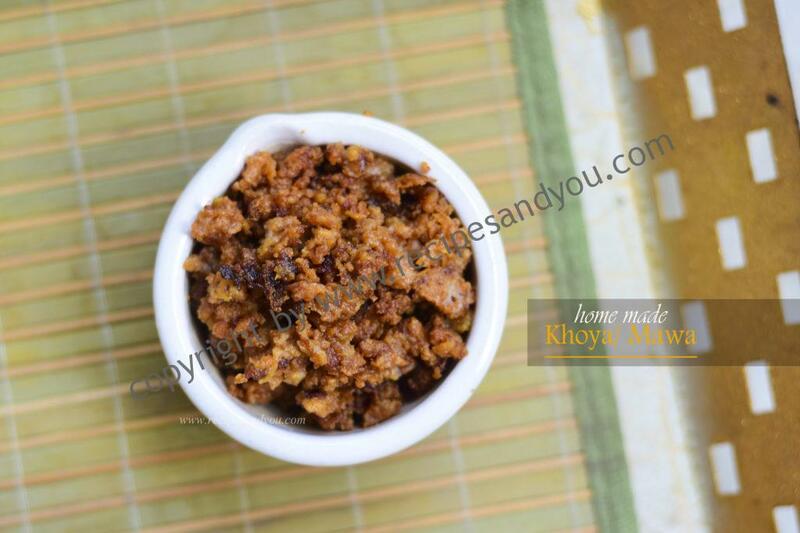 An Indian sweet/dessert made with homemade khoya and almonds. Khoya almond peda is a completely homemade dessert and its delectable taste and melt in mouth texture is unforgettable. Powder the khoya in grinder to smoothen. Keep in a bowl. Powder the almonds with 2 tsp sugar and add to the khoya in the bowl. Add the sugar and the green cardamom powder and mix well.Add coconut powder and mix well. Take small portions between your palms and make pedas and keep aside till all done. 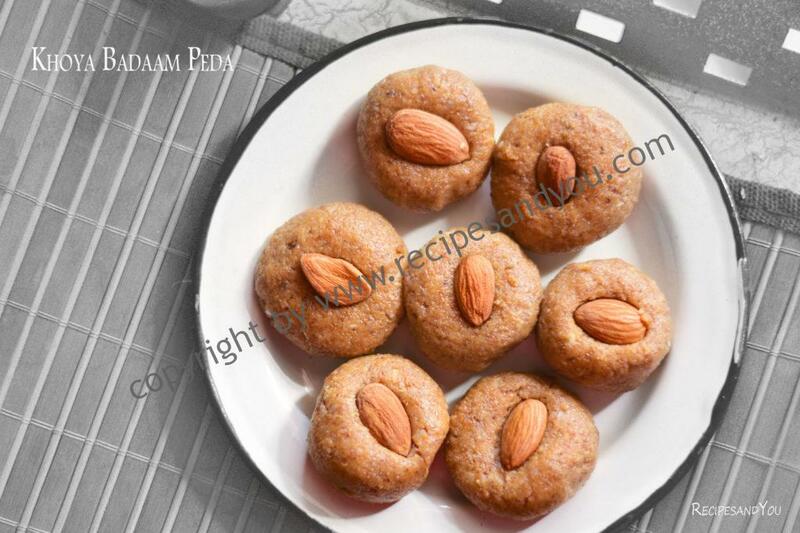 Top each peda with a piece of almond.You can sprinkle some coconut powder/desiccated coconut on top to make ti look nice.